10:00pm – 1:30am | FREE! All vinyl soul, funk, R&B, disco, and soul jazz spinning into the late night for your listening and dancing pleasure. 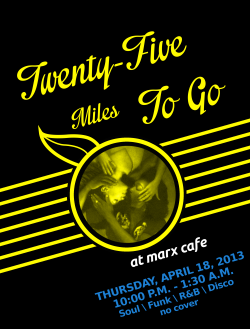 Enjoy the friendly confines of Marx Cafe in the heart of beautiful Mount Pleasant.